I know that soccer is a very popular sport, played by thousands of men and women around the world. I want to know about the history of soccer and how it has grown. 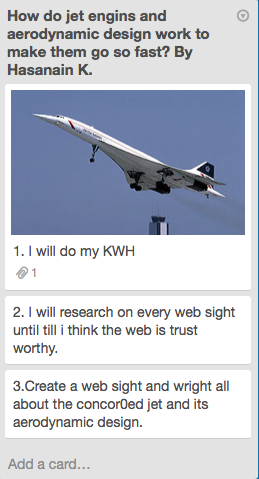 I will ask friends and research the web. What did I learn: I learned that US is the in 27th place. What action will I take: I will start to pay more attention to soccer and get updated on the news. Other questions: How do the coachs find players that they think are good? One thing I learned is that Germany is the best team in the hole world based on FIFA ratings. Did you now that Argentina is in second and that they have one of the best players out there. The thing that was the met fun was creating the website. It was fun because it was mine and I could do what ever I wanted to do with it. One thing that was difficult was finding the rules. It was hard because it almost took me one hole period to get the rules. One thing that was easy was was creating the slideshow on my third page. It was easy because I already had the pictures so I just had to put them in. One thing that I would do differently next time is not spending so much time just trying to find one fact. I would do this differently because it wasted almost a hole period to get the facts and to get them on my website. I know that that strong winds form tornadoes. I also know that strong winds form hurricanes. I also know that rocks and dirt form landslides and rockslides. Snow forms avalanches and tectonic plates form earthquakes. I have learned that their are lots of different Natural Disasters and a cyclone can be lots of different disasters depending on where they are. Also lots of them form by winds or water. I want to know how thunderstorms and volcanoes erupting form. I also want to know what are the other Natural Disasters. I will keep learning and reading about each natural disaster. I will also learn about even more natural disasters because I know I didn't learn about every one I just learned about the ones people know about more. I will research about all the different Natural Disasters. I will also research about how those different Natural Disasters form. Why do they form in the certain places they form? What are the 10 most dangerous natural disasters? Reflection: I learned that are lots and lots of different Global Disasters that happen everywhere even over water. They form by lots of different types of nature like wind and water. The most fun was researching about a hypercane because I really wanted to learn about because I have never heard of them in my life. What was difficult for me was finding good important facts about each natural disasters because their were so many random stuff I didn't need. Picking which natural disasters to research about was also difficult for me because there are so many of them. K: I know that the CN Tower is one of the 7 modern wonders of the world and it is located in Toronto. Also, I know that the Willis Tower is one of them too and it is located in Chicago, IL. W: I want to know what all of the 7 modern wonders of the world are and where they are located. 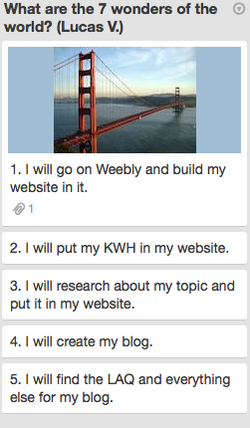 H: I will research online and put it in my and put it in my notebook and then put it in my website. L: The 7 modern wonders of the world are the Channel Tunnel (France), the CN Tower (Toronto), the Willis Tower (Illinois), the Golden Gate Bridge (California), the Itaipu Dam (Brazil), the Panama Canal (Columbia), and the Netherlands North Sea Protection Works (Netherlands). The Channel Tunnel is a tunnel that leads from France to the United Kingdom, the CN Tower was finished in 1976, and at the time it was the world's tallest tower, the Willis Tower used to be named the Sears Tower but it was renamed in 2009, The Golden Gate Bridge was the longest suspension bridge main span in the world from 1937 to 1964, the Itaipu Dam is right on the border of Brazil and Paraguay and it is the biggest hydroelectric dam in the world, The Panama Canal is a 48 mile long waterway right through Isthmus of Panama, and the Netherlands North Sea Protection works is a river dam that once faced a serious storm in 1953 where lots of people died. A: With knowing the 7 modern wonders of the world and facts about them I will tell people about them and research more about them if I want to. I enjoyed this round of passion time! Q: I want to know what deep history about all of the 7 modern wonders of the word and learn even more about them. The most fun was researching about my topic and finding out what the 7 modern wonders of the world and trying to memorize all of them! It was difficult trying to find some of the research because there are different wonders of the world and some of the modern wonders of the world didn't make that much sense. I would focus more on the research because I feel I finished too early and could have had more research. 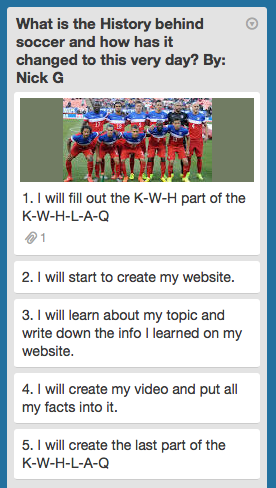 Also, I would divide different things in my topic into pages on my website instead of just KWH and LAQ. How did movie making begin? By: Kaela S.
What I know is that there were a lot of different famous directors like Steven Spielberg. Also that movie making began decades ago. What I want to know is when was the exact year that movie making begun. What tools and special ways they used to make movies. Also what were one of the most famous directors in a top 10 that ever lived. And how did it change over the years. How I will find out is by looking at You Tube videos online explaining why and I will also search on the web why. I will ask my friends and family and teachers and students if they know how movie making begun and see what hey think. What I learned was like different directors that I never heard of like Ridley Scott. Also I learned things like Remove Black Bars. What action that I will take is that I will tell my friends, family, and other teachers about my website. So they can learn from it. What new question do I have is what is other tools that people use in making movies? And what was the longest movie was ever made? This passion time round was fun and interesting! The hardest part for me was the website with all its pages I had to come up with what my viewers would want to learn if they would come to my sight. Another hard thing for me was to also make it fun and interesting at the same time while including the facts and making sure that they would have a nice visual too. What was the most fun for me was making the website with the video and the pictures it was fun listening to different videos and picking which one was kid friendly and has cool facts! Next time I will make sure that I will have at least 2 or 3 videos because in this website I only had one. Another thing that I would change is my pictures for the heading because they were a little too blurry. I had so much fun making my blog and website! But of course there were ups and downs but in the end it was worth it! What kinds of anime can I draw from different cultures? By Payton H.
I wanna know if Japan is really the only place with anime or if there is more places with it? I know that anime is originally made from Japan and that anime is the art of Japan. I will research and read some books along with looking at other websites to know where other anime is made. I have learned that anime is originated in Japan and China but everywhere else in the world they like to draw and learn about anime. I will tell more and more people about my research and also tell them to visit my website for more to help spread the word. I want to know if they will ever make a new type of anime originated somewhere else besides China or Japan. I had a lot of fun doing this project. The last passion time project I did I hated doing it it was not me. But doing this project was really me and I had no problem with it as I researched and had fun with it. The only hard part was figuring out that they draw anime and make anime everywhere, but only 2 places they originated it. But if I had to say what was my favorite project for passion time out of the first and second period I would say What are the different types of anime I can draw from different cultures? With this topic I was able to do my passion and hope we have passion time every day with my old topic I didn't. How do soccer teams design their jerseys and what are some different designs they have come up with? By: Tucker K.
I know that every season in a soccer league each club get new jerseys. Each club has at least 2 jerseys for the season but if they have a 3 jerseys it is a random color not even in their logo. I learned that Jerseys can be very different between teams and home,away,and third jerseys. From stripes to plain jerseys. I also learned that people like different jerseys. I want to learn why they chose those designs and why they choose them and what did they come up with. 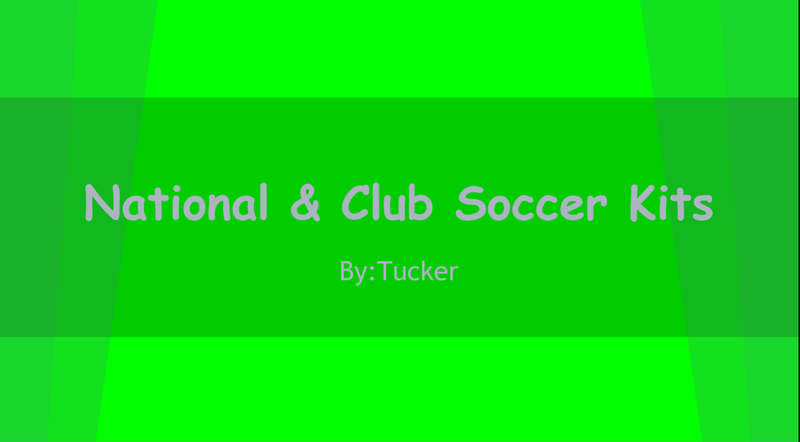 I will make other people learn the different types of jerseys by the national and Club soccer teams. I will learn by some websites maybe some books. I multiple questions to ask. How many jerseys are in the whole world, Why do the choose those manufacturers over other ones. I learned that jerseys can be very different. They can be all colors. I think making the Google Presentation was very fun. It was very different. Finding good facts about their jerseys was fun because you could see if they had just one jersey or if they had multiple jerseys. I had to visit multiple websites. 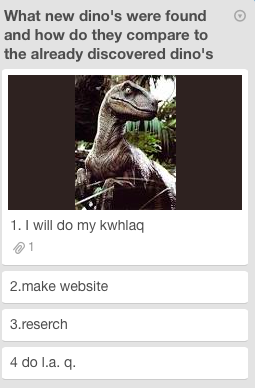 Making the Trello card was very easy. My advice to others is to manage your time well if you do a project like this. I know the Tyrannosaurus (Or the T-Rex.) is very strong. The Triceratops can block a T-Rex so that might be something. I learned facts about 10 dinosaurs. I learned some things about other dinosaurs that weren't even on the list. I wan to know the top ten dinosaurs and there features. So like how they hunt or if they don't hunt and there herbivores. 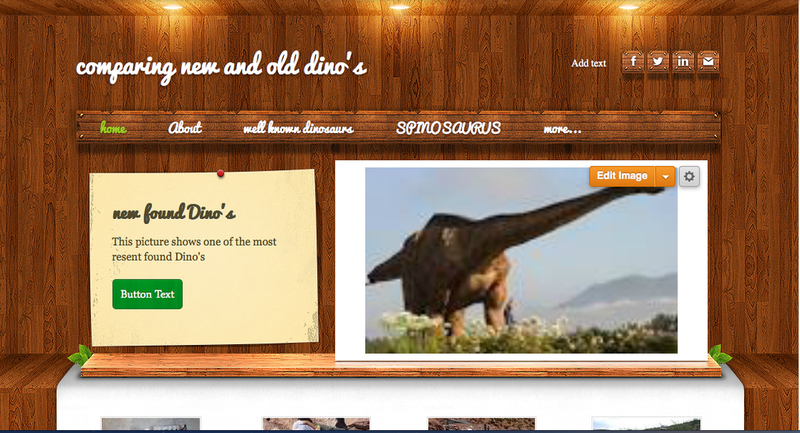 I will add more to my website and keep loving dinos. Ill keep learning from books as well as other sources. I will read, research and watch videos.. While researching I will add facts on my website. I still have the questions about the dinosaurs I researched. Also the all the other dinosaurs. 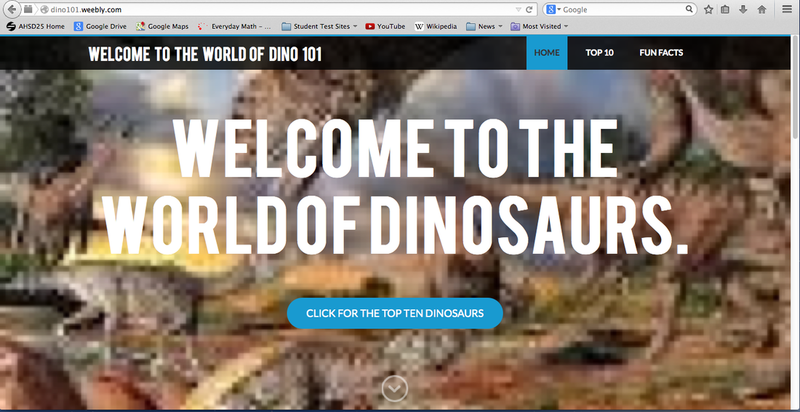 The most fun was to make the website because it was 10 dinosuars with there facts. The hardest thing was picking the top 10 because there's SO many dinosaurs. Hundreds so to pick 10 is hard. For advice I would say to listen to some other peoples decisions. It helps. Then you can see what other people think with yours. Something that was pretty easy Id say was to put facts for the dinos. I looked in a book or on a website and the facts were there. I saw them and then I would say them and put them into my words in my website. K: I know that cats are also called felines. I know that they were treasured by ancient Egyptians. W: I want to know about cats' different features and how they have changed. A: I will tell others about cats and what I have learned so others will know about cats. 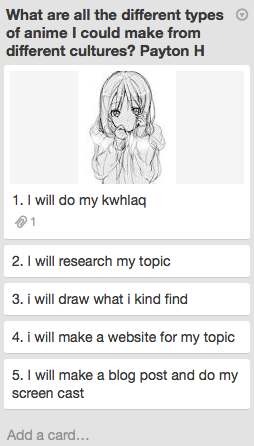 H: I will research about cats on the internet. Q: I want to know more about how cats turned into the domesticated animals they are now, how they evolved from the very first feline there ever was. Reflection: I have learned that cats haven't really evolved since they were domesticated. I have learned lots about cats' features. I even learned a bit of history on cats. The most fun part was when I got to research cats and saw lots of cute pictures of cats, I also loved decorating my site. It was also fun to see the replies to my survey. It was easy to find information on cats because cats are really common household animals. What foods do people crave, why do they crave them, and what are some side effects? Kendall F. and Nicole D.
Why do people have cravings in the first place? Are there any other reasons that people have cravings? I had a lot of fun with this Passion time project. I learned lots about food cravings like what foods different people crave. The most fun was working with Nicole and interviewing students. The hardest part was finding enough information because a lot of the websites we found had similar information. The easiest part was interviewing students because the questions came easily. I had a lot of fun doing this project even though it made me really hungry. I am excited about Round 3! I have so much fun doing my second round passion time project!! I learned lots of interesting and fun stuff. I learned things like what men and boys usually crave most often. I also learned what women and girls usually crave most often. I think the hardest thing about this project was to try and find enough facts about what a craving is because most of the websites that we went on all said the same thing so we spent a lot of time on it and then we found a great website that explained a lot. I think the most fun was getting to work with Kendall and making the screencast. I had a lot of fun with this Passion Time project! I can't wait to do round 3 of Passion Time! What are the top ten dinosaurs and what are their features? By Charlie C.
K. I know that the dinosaurs were reptiles, that there are omnivores, herbivores, and carnivores. L. I have learned about a lot of dinosaurs, when the dinosaurs lived, and how fossils work. W. I want to know what the top ten dinosaurs are and what their features are. A. I will keep adding onto our website and making more top ten lists. H. I will find out by looking at a lot of dinosaurs and then choosing the top ten. Q. I want to know what the strongest dinosaurs were and what the tallest dinosaurs were. I think that it was fun making my website. I also liked making the top ten list. It was also fun seeing it in the end because I was looking at all my work finished and it was really hard. It was really difficult making the top ten list. Also it was hard finding facts on the Gigantosaurus. If I could I would have made less periods dedicated to the top ten list. I KNOW THAT The t rex is not the biggest strongest dinosaurs Also I know that I have a lot of information to learn and find out so that I can get an ansure. I want to know if there is a dinosaure like t rex that is stronger faster and is at the top of the list of biggest dinosaur.Also want to know how did the dinosaurs get created and why are the plant eaters so big. A I will show it to people and ceep editing it to make it better. The pashon time round was fun and exiting however,it was hard finding out the news on dinosaurs because it is not one of the biggest subjects in the world but still very cool.One thing I enjoy was making a new website because my last on had no information so it was fun to make an even better than before.I have no regrets because I had a good topic and a good site so pretty fun.I am exited for the next round to see how it goes. 1. The basic rules of basketball. 2. Basketball Impacts My life in many ways. 3. Basketball is a team sport. 4. Basketball is a sport to get active in. 1. What big differences basketball has the sport made since now to the very beginning. 2. What My partner thinks about basketball. 3. How the rules of basketball have changed. 1. I learned how basketball significantly changed over the years. 2. What my partners opinion on basketball is. 3. What NBA players feel about basketball. 1. I will tell my family+Friends about what I learned. 2. I will continue to work on my website and show many my website. 3. 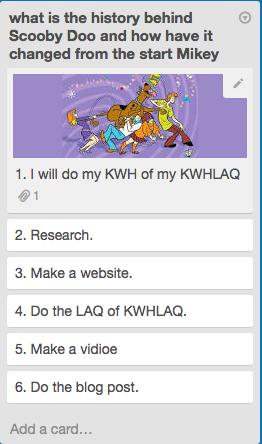 I will show my trello to my family and show them what I accomplished. 1. What do others think about basketball? 2. How can I make people visit our website? 3. What do WNBA (womens) think about basketball. I had a good time doing this project with Stacy. 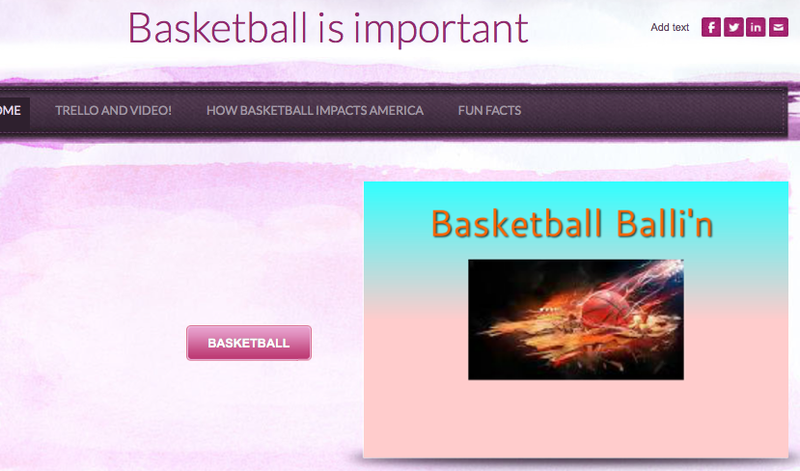 I was inspired to do this project because I play basketball and wanted to learn more. I loved sharing my opinions about basketball because I wanted to have an opportunity to share my ideas with others so they can learn to. K I know that Gatorade is not healthy for you and that water is the best thing for you! We have learned that propel is better then powerade, also that gatorade and other sport drinks don't actually help us during activities they just give us sugar to make us more hyper. how much water should you have a day, why is alcohol that bad for you, and how much alcohol should you have a day if you drink it? by researching and maybe reading some books on this! Some new questions we have is, will other people take our work and actually follow it, and will alcohol have a bigger or less impact on our lives when people see our website? Emily Reflection: I think this project was very fun and fascinating. I always wondered about how and why soda and other drinks were good and bad for you. The hardest part was probably keeping up with doing the bibliography. The easiest was researching why the drinks are good and bad for you. It was fun when we where making the video and we where both doing it together. It was an awesome project to do and the website was very fun to make and learn about the amazing drinks and the healthy ones and not the healthy ones! What I know is that the theme song changed. What I whant to know is how else has it changed. I will have my topic online so people find my website. I will watch videos and movies . A question I still have is is there still more family to be created. 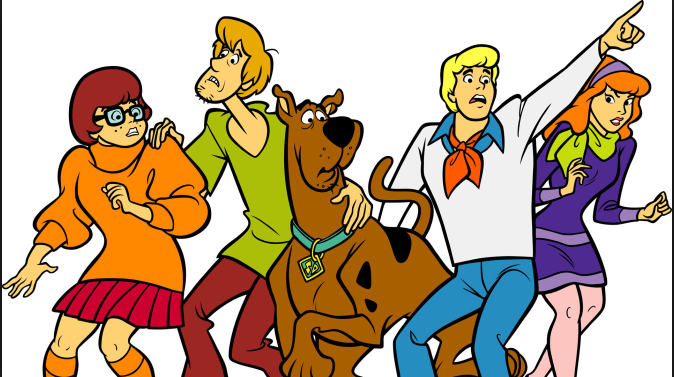 Reflection: I ;eared that he has louts of family because I allays thought it was scooby scrappy mama daddy and the rest of the kid doos. The most fun researching my topic because I got all of the pictures . The hardest part was making the website because I had to go throw all the proses. I know that the stats have gone up and down but new players have came in so they might have been better in that time period. I learned how one stat has changed. I bit off more then I could chew this round. I did better the first round. I want to learn how to make graphs representing the facts I found. I want to know what time periods have better batters and sluggers. I might add more different stats and try to share my product with the world. I wonder how other kinds of stats have changed. This round has made me think and I thought of a new topic for the next round. 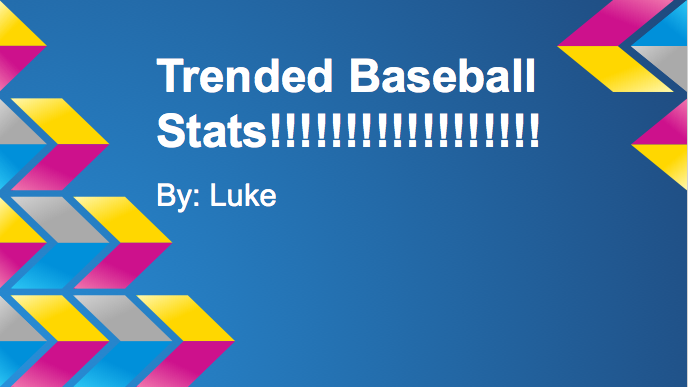 I learned that baseball stats have changed. Well I knew that already but I learned why they changed. It was really fun making the graph. I liked seeing the finished product after I did all the editing to it. It was fun creating the Google presentation. But every passion round my favorite part is making the videos. 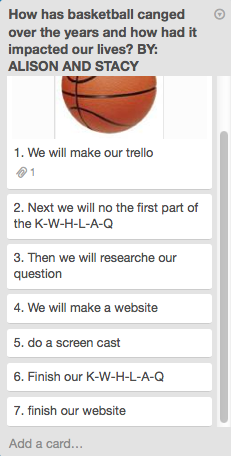 The easiest part was getting my essential question because I had it in my head right at the end of last round and then BAM I was already on trello. Next round I would get a question that requires as much as this round. How can you find out someone's personality just by their handwriting? By: Ryan S.
K: I know that there is books that help you with that to help you find out how you can do that. I might read one of those books. L: I learned almost all the possible personalitys and how to analyze the handwriting of that personality. I have also learned how to make you handwriting look very neat and all 14 steps for how to find it out. W: I want to learn how to find out someones personality by there handwriting only. A: I will ask people if they want to know what there personality is and I will analyze there handwriting and maybe that could be part of my job when I grow up. H: I am gonna go on the internet to research it and maybe read a book on it. Q: If you changed your handwriting on purpose would that change what your personality is like or would your personality stay the same? Writing that is very orginized and regular means that person is disciplined. If its the opposite of that they make some bad decisions. If writing is kind of swirly and sloppy that means you can't trust the person. If it's spread out and neat that means you can trust them. People who have big and swirly writing tend to be more aggressive and people who have the opposite with a small and cursive type writing. tend to be more cautious. A kind of signature means people are more friendly. Kind of angly writing means the person is kind of mean. Some letters that are bunched up means the person lsike working in groups. Spaced letters means the person is more independent. The most fun was probably making the website. The most difficult part was coming up with what to say in the video. The easiest part was probably making the webssite because I knew so much that it was really easy. Next time I would check my work over more carefully because my whole reflection got deleted once. If you have a different religion do you celebrate different holidays? What are the meanings to the holidays? What is there most important holiday? What is the least important holidays to them? What is one of there most famous traditions? Does Oktoberfest get bigger each year? During this project I had a lot of fun. I would say my favorite part was learning about Oktoberfest because it really interesting and fascinating. In this project I learned a ton like how they celebrated lots of the same holidays as us but just but there own little twist on some of them. I hope your interested in learning more about German holidays and here is a tip don't give up because it will probably get a little frustrating. K: I know that a jet is a type of a airplane. I know they use it it air force. Witch is used in war. W: I want to know how aerodynamic design make the jet go so fast. L: I have learned that their are lots of 5th generation fighter jet but the us has a 6th generation jet on the way. A: I will inform people about how many jets their are that have good aerodynamic designs. Q: Is there going to be any better fighter jets and who has a plan to make another.